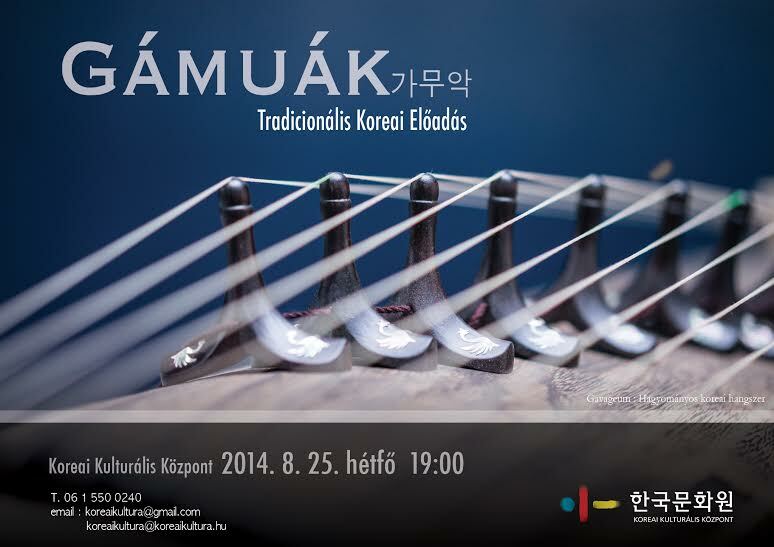 The Korean Cultural Center – Budapest will be having its performance regarding to the ending of the summer season on Monday, 25. starting at 7 p.m. The show is free of charge, only registration is need because of the number of seats are limited. What is the Gamo? The Gamo is a general term for what the singing and dancing for them and musical instruments used to accompany. The Ga music, dance Moo means. Has existed since ancient times. Korean music is a tradition which every song, dance and instrumental music one is a complex art form combines. During the concert will be presented what a difference is in the gamo genres. Most probably a unique experience with special rhythms to the visitors in being present, watching the Korean traditional performers. District, XII., 49-51 Csörsz Str. – Budapest.